Colorful Mixed Berry Margaritas. Loaded with fresh blueberries, cherries and blackberries. A fun twist on the original! Happy Friday! Time to celebrate with a cocktail. Do you guys like margaritas as much as I do? They are perfectly tart, not too sweet and always refreshing. With the warmer weather coming I decided it’s time to whip up some festive cocktails. You can make this margarita frozen or on the rocks. I prefer on the rocks with a rim of sugar on my glass. 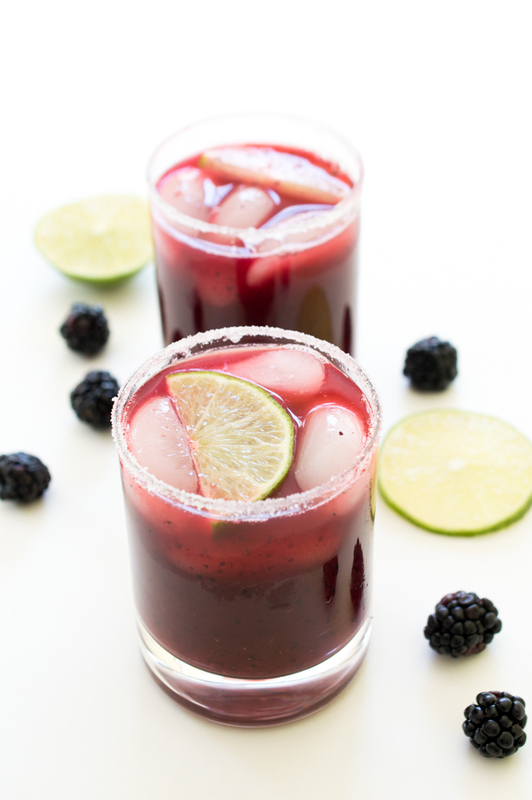 This Mixed Berry Margarita is loaded with cherries, blueberries and blackberries. I love adding fruit to my cocktails. 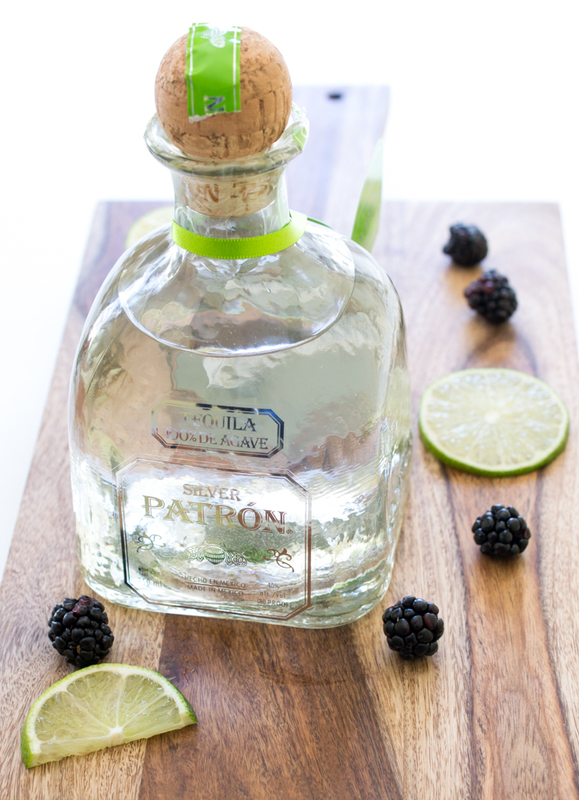 The sweet fruit and the tart lime make the perfect flavor combination. I had to use a mix of fresh and frozen fruit in my margarita because cherries aren’t in season yet. Tequila, lime juice and simple syrup are also added. I make most of my drinks with simple syrup so I always make extra and store it away in the refrigerator. (Simple syrup is just equal parts sugar and water heated until dissolved.) You can also buy pre-made simple syrup at the liquor store. Use a wedge of lime to wet the rim of the glass and dip in either sugar or salt. To make this margarita start by muddling the berries and simple syrup together in your salt or sugar rimmed glass. Top with lime juice and tequila. Stir to combine. Top with ice and fresh berries for garnish, if desired. If the seeds from the blackberries bother you simply strain through a sieve before serving. To make this margarita frozen substitute frozen berries and ice for a slushy treat. 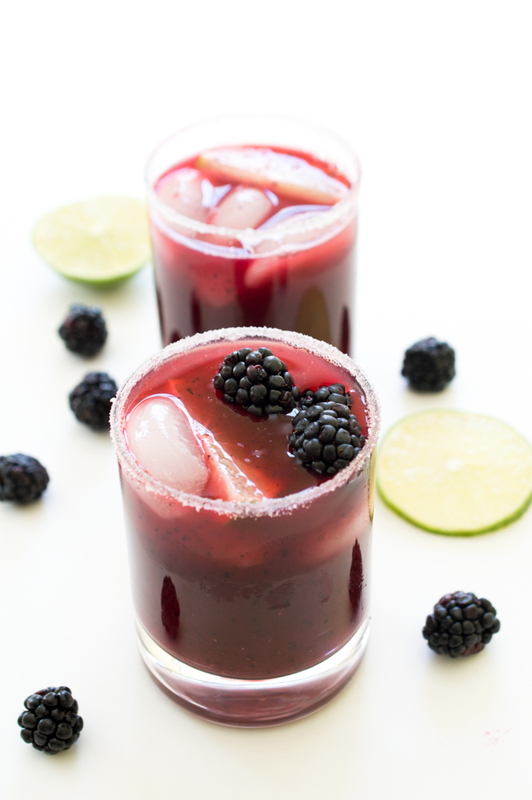 These Mixed Berry Margaritas are perfect for any occasion! Serve the Mixed Berry Margarita with my Homemade Tortilla Chips and Healthy Greek Yogurt Guacamole! 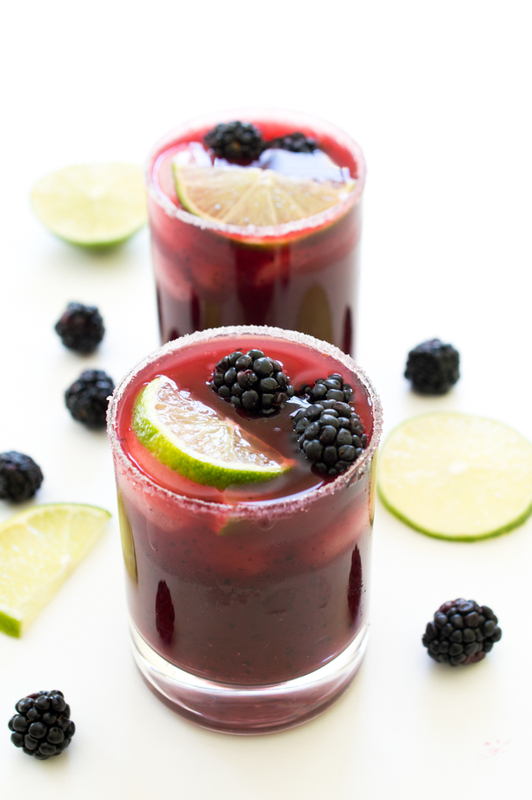 Love this Mixed Berry Margarita? 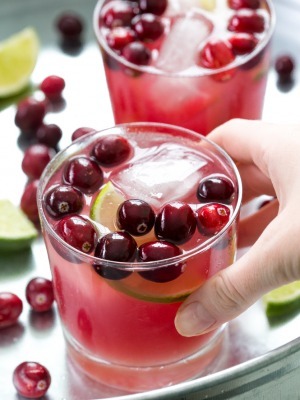 Here are some more cocktails you’ll love! 1/4 cup mixed berries I used blueberries, cherries (frozen) and blackberries. Use a wedge of lime to wet the rim of a glass and dip in either sugar or salt. Add berries and simple syrup to the glass and muddle. Stir in lime juice and tequila. Top with ice and garnish with fresh berries if desired. Note: If the seeds from the blackberries bother you simply strain through a sieve before serving. Note: To make a large batch of simple syrup just combine equal parts sugar and water. I do 1/2 cup water 1/2 cup sugar. Keeps in the fridge for up to a month. Fridays definitely call for a celebration with cocktails! This berry margarita looks perfect, Kelley! I love the pretty purple color and flavors. Sounds delicious! Is it 5 o’clock yet? I could go for a fresh berry margarita right now! Wish I had could kick back and relax with one of these margaritas now! I seriously need this right now. I haven’t had a day off in 34 days…. These are SO pretty!! It gives me faith that one day we will be wearing sundresses and flip-flops again. Cheers! It’s 5’oclock somewhere….Oh wait, it’s totally five right now! Wish I had one of these! Gorgeous! Margaritas are my favorites too! And I could totally use one right about now! The mixed berries look delicious! I don’t think I’ve actually ever had a non lemon lime margarita before! 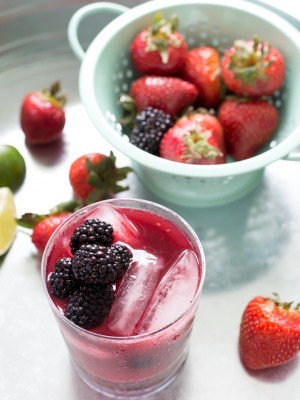 This berry margarita looks like the perfect way to start off the weekend! I love the pretty purple color and flavors. So refreshing and delicious! This looks sooo perfect! Now all I need is the first nice sunny warm day of the year to enjoy it on! Margaritas are my absolute favorite cocktails! 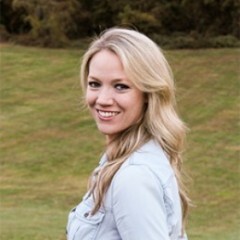 Totally love the berry twist…perfect for spring! These look perfect! I love berries so what a great way to have a margarita.